Will Americans really need a visa to travel to Europe? 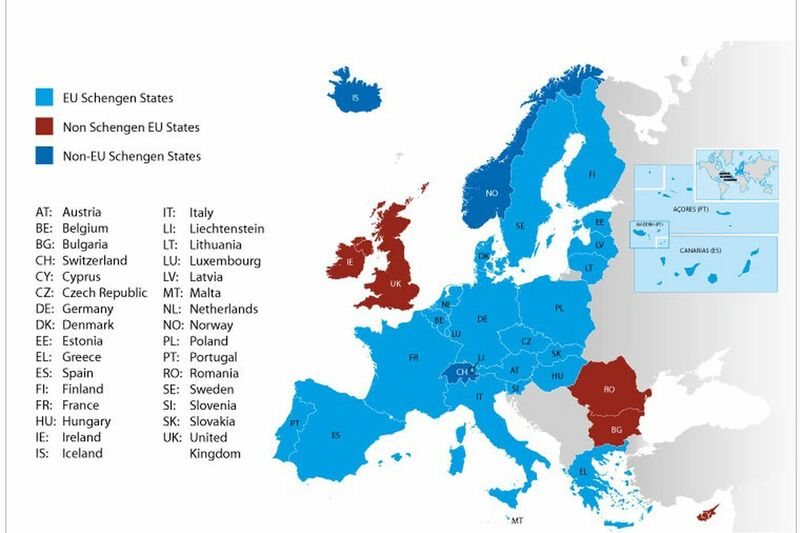 Starting in 2021, U.S. citizens will need a special authorization -- called ETIAS -- to visit most European nations (the countries in blue). News that U.S. citizens will soon need special authorization to visit most European nations has been met with alarm and confusion. Some of this consternation has resulted from early reports that called the authorization a visa (it is not), incorrect information floating around the internet, and confusion regarding which countries are involved. Here are answers to some common questions, from information currently available on the European Commission website and also from correspondence by email with a commission spokesman. Who needs to get it? Initially, citizens of 60 countries, including the United States. The target launch date is Jan. 1, 2021. What will it cost me to get an ETIAS? This has not been decided yet. The ETIAS information site says suggestions range between 14 and 60 euros (about $15 to $70). The money will go to the EU budget. What does ETIAS authorize me to do? It authorizes you to enter and to travel in the EU Schengen Area for up to 90 days. It is a group of 26 European countries that banded together to form one entity for the purposes of passport and border control. Citizens of a Schengen zone country can visit the other countries passport- and visa-free. Is the Schengen area the same as the European Union? Not exactly. It includes EU member countries Austria, Belgium, Czech Republic, Denmark, Estonia, Finland, France, Germany, Greece, Hungary, Italy, Latvia, Lithuania, Luxembourg, Malta, the Netherlands, Poland, Portugal, Slovakia, Slovenia, Spain, and Sweden, as well as nonmember countries Iceland, Liechtenstein, Norway, and Switzerland, plus the microstates of Monaco, San Marino, Vatican City. Which EU countries are not in the Schengen Agreement? The United Kingdom and Ireland, which have chosen not to be part of the agreement, and Romania, Bulgaria, Croatia, and Cyprus, which are expected to eventually join. How long will my ETIAS be valid? Three years. You can visit Europe for up to 90 days at a time, which is also the maximum in a 180-day period. How do I get an ETIAS authorization? You apply online. You need a valid passport that will not expire within three months of your travel to the EU; if you are staying 90 days, it should be valid for six months. You will also need a credit or debit card and email address. You will have to provide your name, age, gender, nationality, date and place of birth, passport information, address, and contact information and the first Schengen country you plan to visit. (You are not obliged to visit that country first or at all.) You will also have to answer background and security questions. How long will it take to get this authorization? It will take about 20 minutes to fill out the online form and pay. Your application will then be cross-checked against European border security and criminal databases. If there are no problems with your application, you should receive authorization by email within minutes. If there is a problem, you will get an email within 96 hours stating the reasons for refusal and providing instructions for appealing. An appeal should be decided within four weeks. With documentation beyond that email, will I get to prove my ETIAS authorization? You will not receive anything physical because, said a European Commission spokesperson, "the ETIAS is an authorization issued in an IT system." Who will check that I have this authorization? Your ETIAS status will be checked electronically before you board an airline and at borders. The spokesperson said the airline check will usually "be carried out at the check-in time. Air carriers will automatically send a query to ETIAS and will receive, in a matter of seconds, a reply whether the person has or not a valid travel authorization." Everyone visiting the EU will need ETIAS authorization. Guardians of children under 18 can fill out the forms for them. There is no fee for children under 18 or people older than 70. How does this differ from a visa? A visa is required to remain in a Schengen zone country for more than 90 days. A visa requires much more information than ETIAS, such as including photos, a copy of your itinerary, and proof you can financially support yourself. Visas for the purpose of employment or studying require even more information. From an American standpoint, not at all. Regardless of whether the United Kingdom stays in the EU, it is not part of ETIAS, so you will not need an ETIAS to visit there. It appears that U.K. residents will have to obtain an ETIAS to visit countries in the Schengen Zone. Will this kill any spur-of-the-moment visits to Schengen countries? It does not have to. The authorization is good for three years. If you have it, you can pounce on a good airfare. The European Union recommends that travelers “request an authorization from ETIAS before making concrete travel plans," the spokesperson said.